Meal prepping is how I survive the week. I don’t know what happens with my brain, but it goes blank in terms of creativity and ‘what should I make for dinner?’ by the end of the work day Monday. If I don’t have something that’s pretty much ready to go (aka meal prepped), we’ll end up having either carry out or something random – brinner for the umpteenth time. 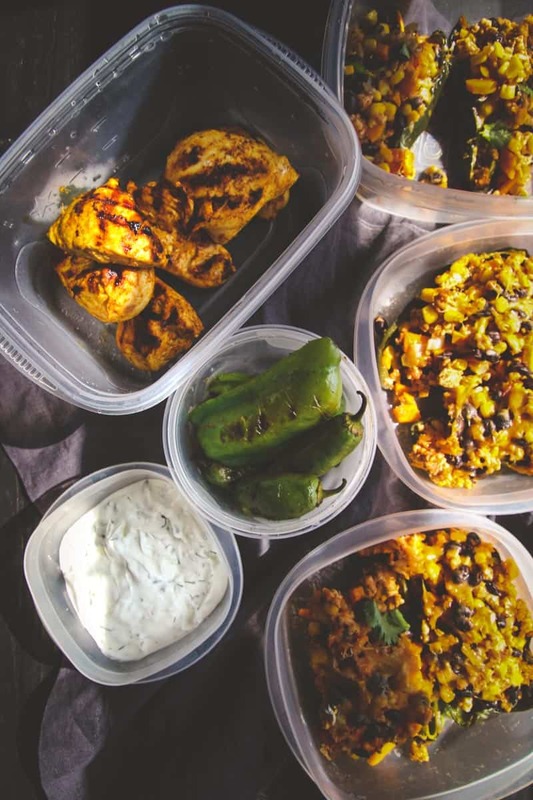 There are not a lot of carry out or delivery options around us, so meal prepping is literally one of the only things that works for me. 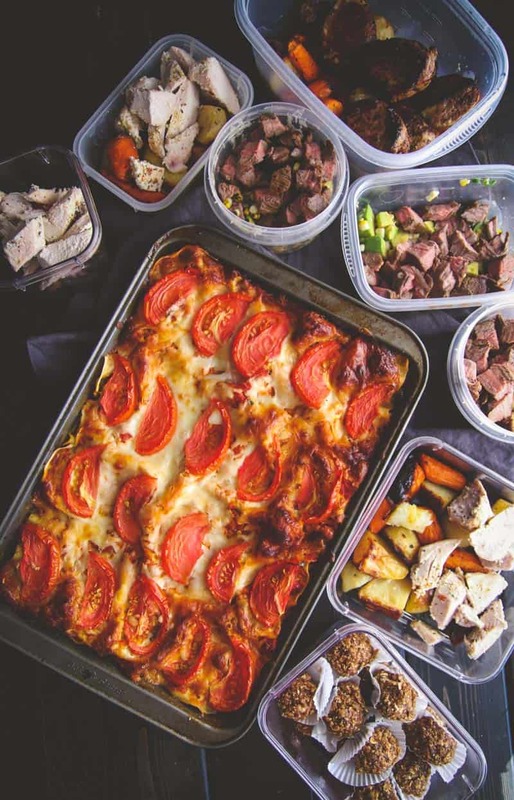 One of my favorite reasons to meal prep is that it helps me stay healthier. It really is awesome to be able to take a container of homemade food out of the fridge to take for lunch or have for dinner. 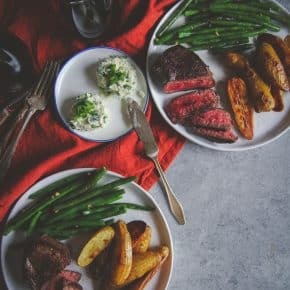 Not only is it healthier (you know exactly what’s going in to the food you make and eat), but it tastes so much better than say, a frozen dinner or quick takeout. Also, packing a lunch automatically guarantees portion control. You’re stuck at the office so you can’t go back for that second (or third) helping like you might be tempted to do at home. First, I look at mine and Nick’s schedule for the week. 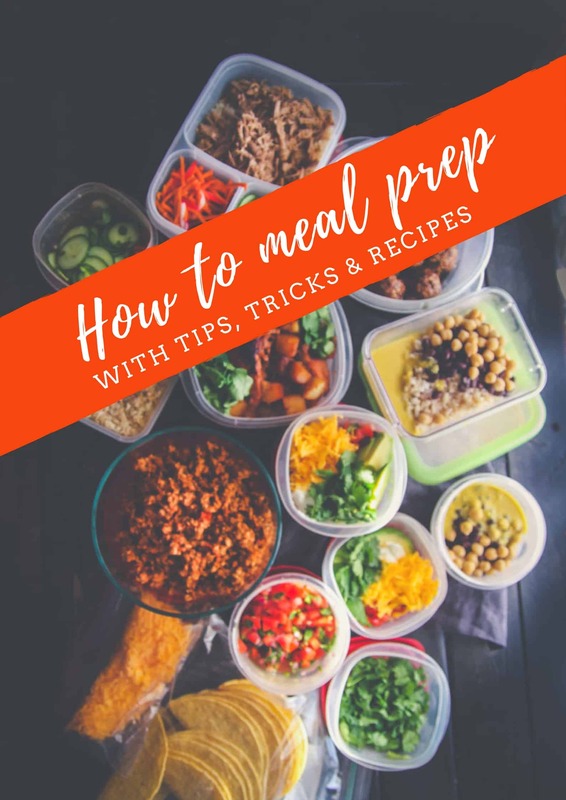 This is an important part in planning your meals because you’ll need to know how many dinners and lunches you’ll need to prepare. Maybe you have a lunch meeting on Wednesday and your husband has dinner plans with friends on Friday and you’re going out on a date night Saturday. That’s three less meals to prep for that week. In the past I’ve bought meal prep calendars (here and here are two of my favorites) but honestly, what works for me is just making a list that I tack up on my fridge that lists the meals I’m making and that I’ll have in the fridge. I feel this way doesn’t lock me into a specific day, so that if I’m feeling like a pasta dish instead of a rice dish, it doesn’t mess up my calendar. Tip #3- Shopping for ingredients. 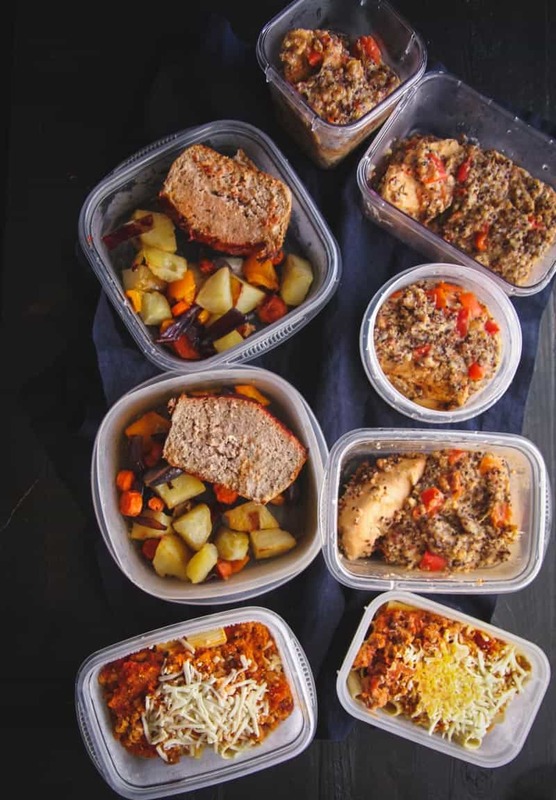 So, this tip is all about prepping for that grocery store trip before a day of meal prep. I like to do all of my meal prep on Sunday afternoons…which means, I need all of my groceries in the house before then. To make sure I am prepared for the day, I spend my Saturday mornings picking recipes to make for the week. I like this routine because it allows for me to enjoy a cup of tea/coffee and plan before the madness of the day begins. After I figure out what meals I’m making, I then make a list of all the ingredients I need. 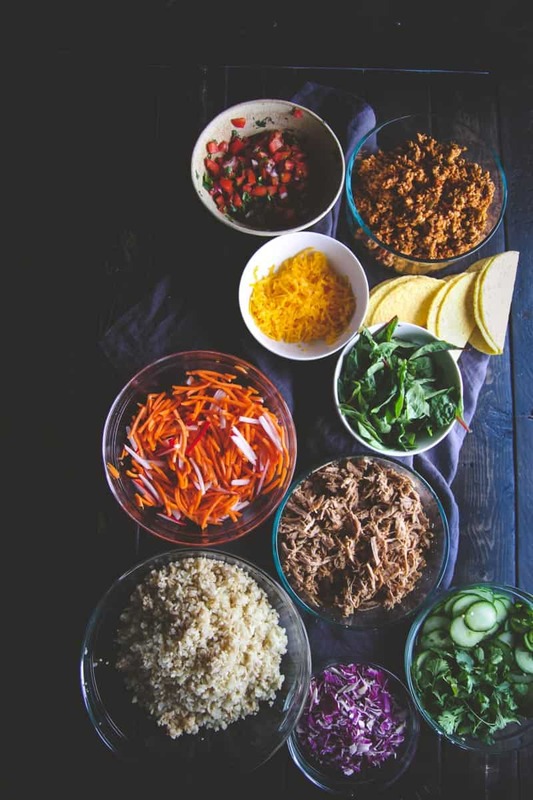 Meal planning helps your budget, because you’re not buying unnecessary things. Tip #4 – Cooking and storing food. 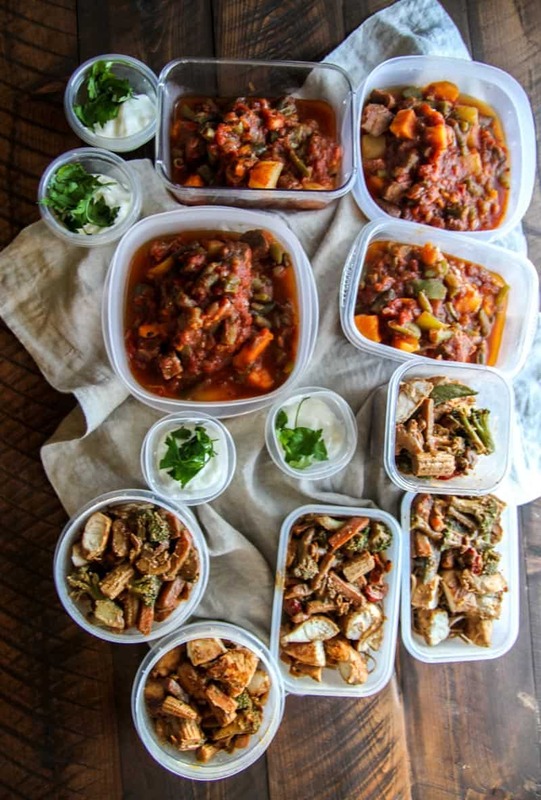 The culmination of my meal prep – cooking and storing. Yes, the cooking takes a little time, but it’s oh-so-worth-it!! Then comes the ever-so-important container battle. 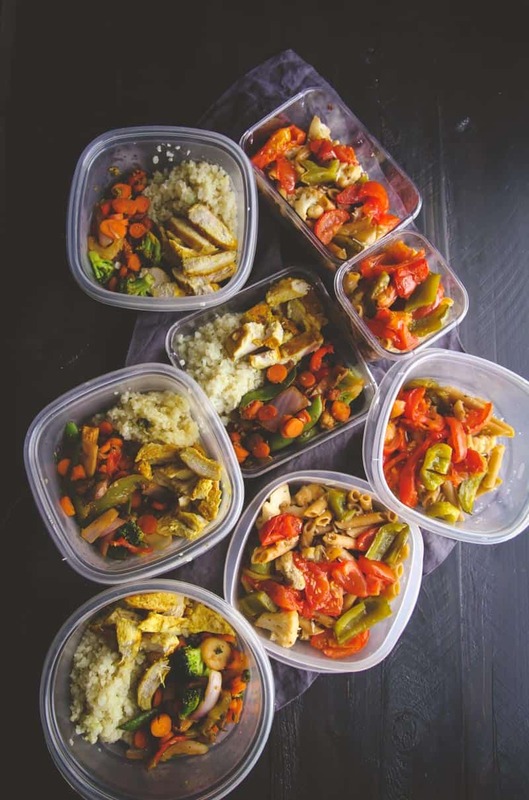 I’ve had so many friends talk about how annoyed they are that they just don’t have the right container to pack all of these meals in. If you’re short on space, use Ziploc bags. Be sure to lay them flat in the freezer so they take up less space when frozen and are much easier to stack. Here’s my #1 tip: get good Tupperware (I love this set)! If it’s a hot dish that will need to be re-heated, pack it in a glass container (like these or these) so you don’t have to microwave in plastic (because my plastic containers always seem to get stained). Also, these glass mixing bowls with lids are awesome, I use them for cooking and storing all the time! 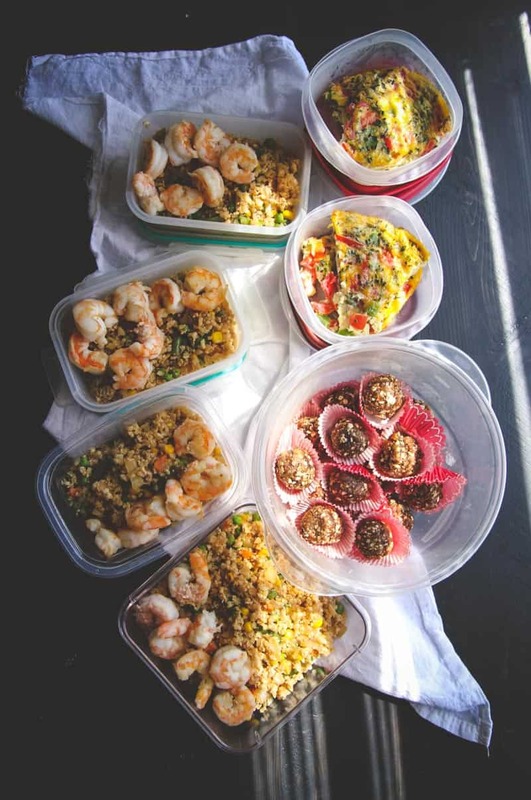 I’d love to know, do you meal prep? 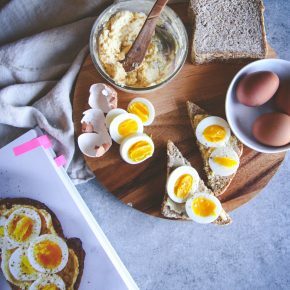 Do you have any favorite recipes or tips? This is so great, Phi! I would say I’m a “pseudo meal planner” because right now I just cook for myself. However, after graduation I’ll be meal planning for my boyfriend and I. 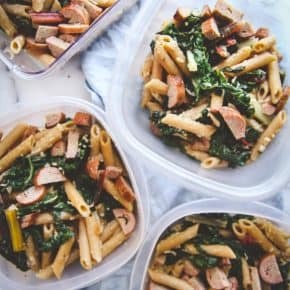 He specifically asked, “can we do that meal prep thing you do?” 😉 I’m sure he’ll love these tips! Genius post and incredibly helpful! I’ll be referring to this a lot! Meal prepping definitely helps me stay on track but I have yet to perfect it! I’m so glad you enjoyed the post Jess! Meal prep is literally one of the only ways I can survive the week and have something to eat in my fridge lol. I’m so glad to hear I’m not the only one, Nick smiles at my lists too lol. I love that you go to a bunch of different stores, here we have one big store but I love little ones like I imagine you have.